Beijing might merge wireless carriers China Unicom and China Telecom, creating a $70 bln-plus telco giant – and a market duopoly. As with T-Mobile and Sprint, consolidation could accelerate development of ultra-fast networks. But industrial policy will limit financial benefits. China Telecom Chairman and CEO Yang Jie attends a news conference announcing the company's results in Hong Kong, China August 20, 2018. China's government is exploring a merger between two of its three state-backed wireless carriers to speed up the development of 5G mobile services, Bloomberg reported on Sept. 4, citing people familiar with the matter. The new entity would compete with market leader China Mobile. 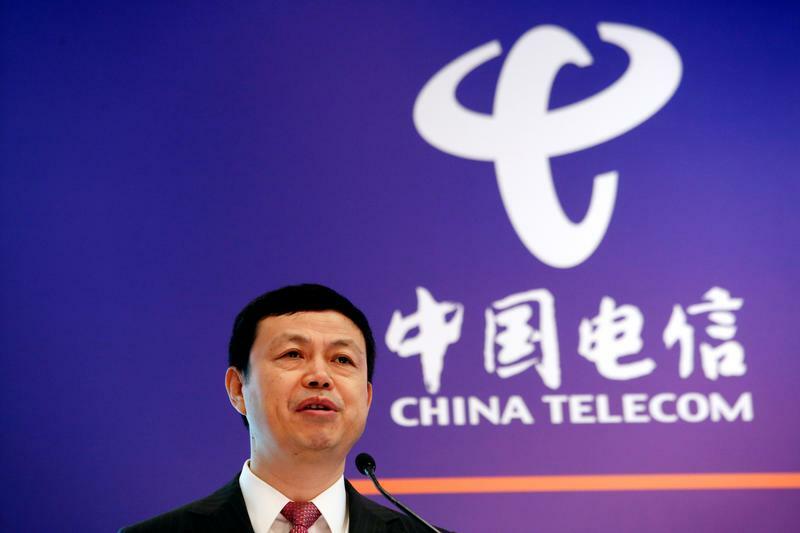 Top leaders are reviewing a proposal to combine China United Network Communications Group and China Telecommunications Corp, known respectively as China Unicom and China Telecom, Bloomberg reported. No final decision has been made. China Telecom on Sept. 4 responded on its official micro-blog it was not aware of the situation. The two carriers have a combined 600 million mobile subscribers as of July this year. Shares of the Hong Kong-listed China Telecom and China Unicom closed up 4 percent to HK$3.89 and 5.9 percent to HK$9.58 respectively on Sept. 4.